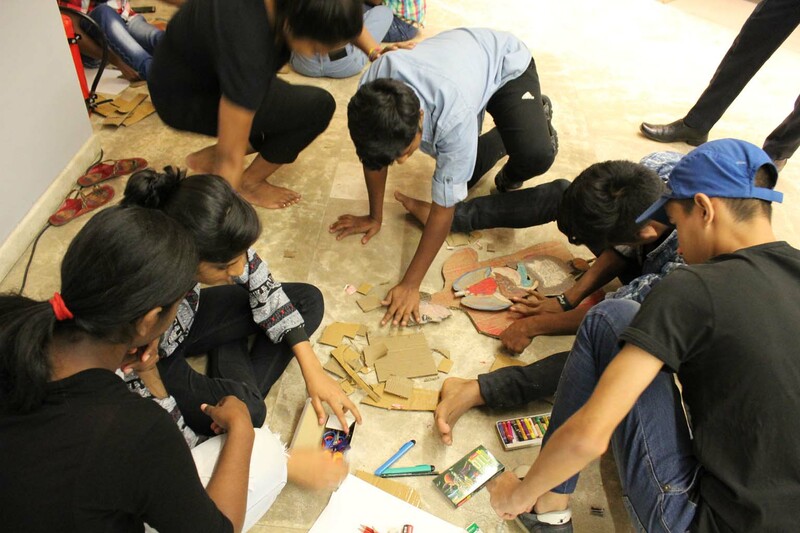 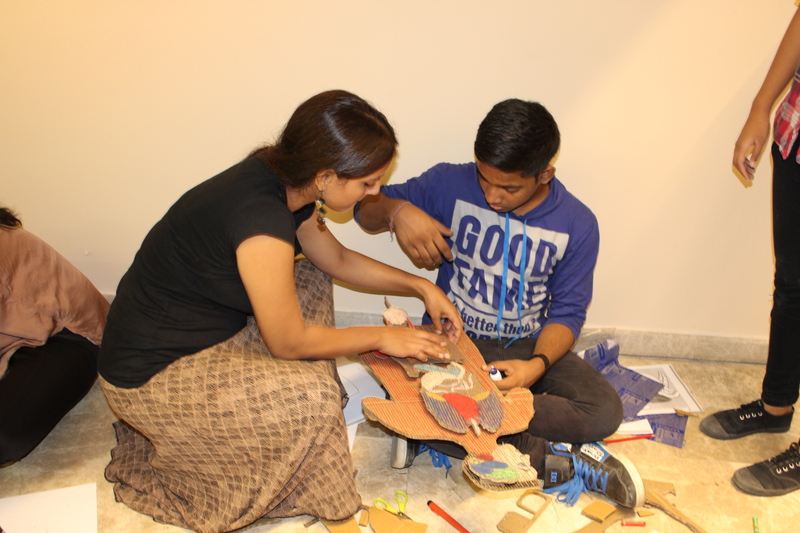 Theatre artists, researchers, and educators, Anuradha Shokhi and Ashok Shokhi, were invited by KNMA to conceive and conduct a workshop for the students of Udayan Care. 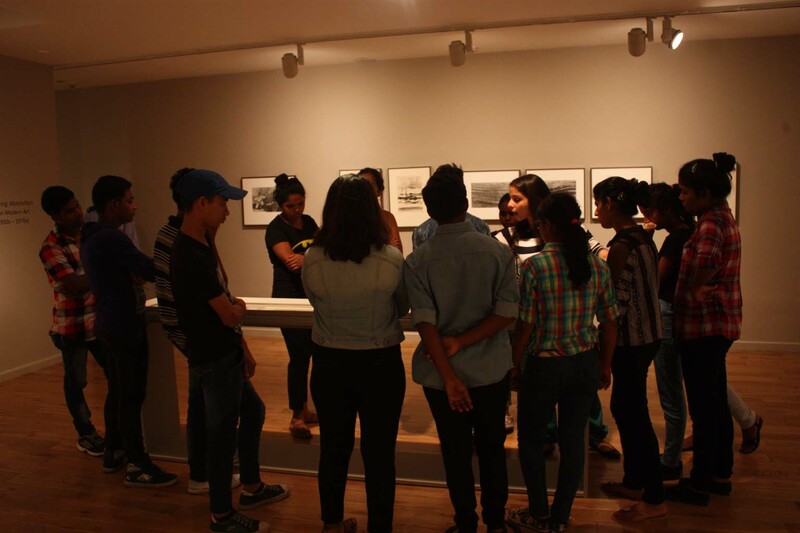 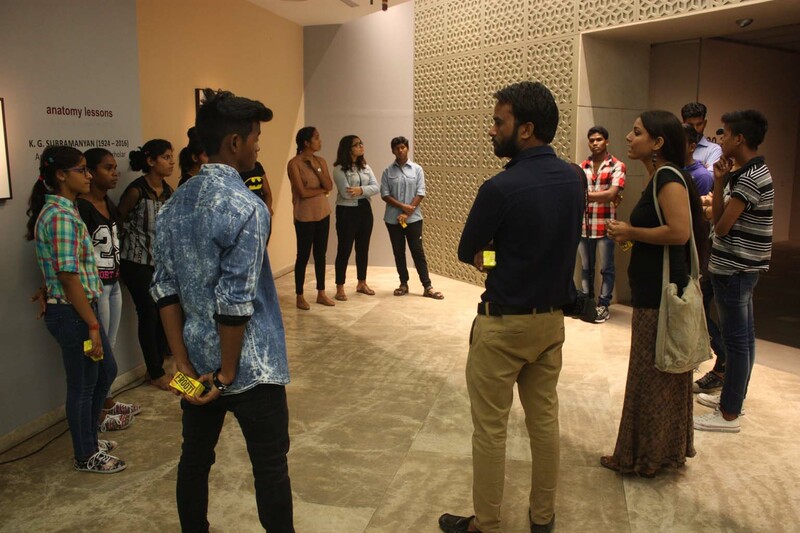 After the informative tour of the museum and the exhibitions, the facilitators focused on artist Jeram Patel’s ‘Hospital Series’, inviting students to keenly look at the way diseased human body is depicted in his art. 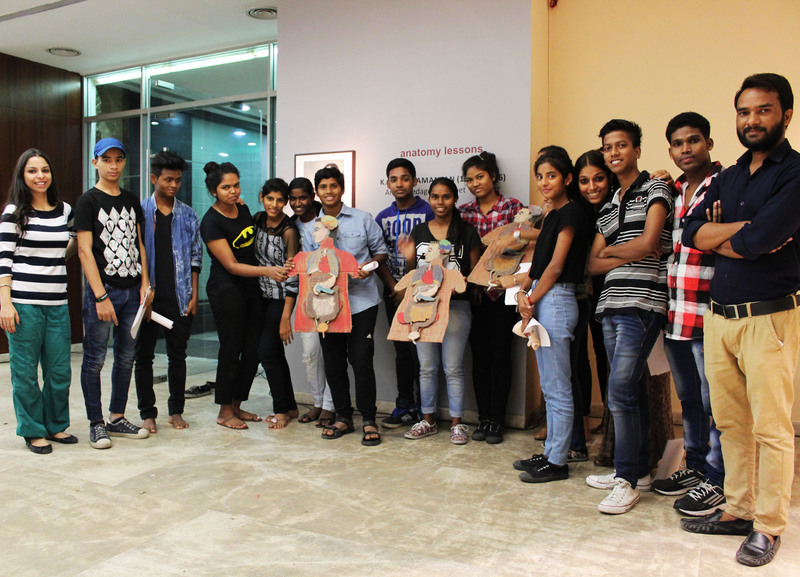 Taking forward the thematic and concern of the ongoing exhibition, the workshop elaborated on understanding and knowing the science of human body. 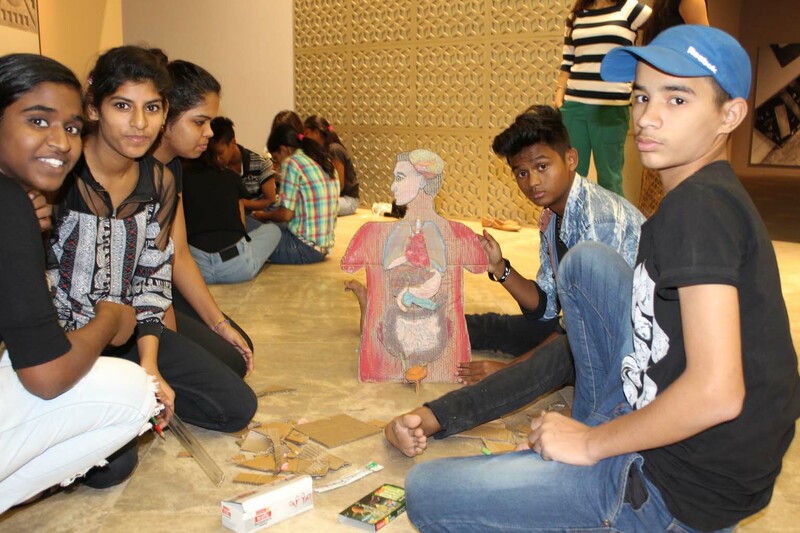 Divided into teams, students imagined, drew and reconstructed the internal body parts.